After a fun, action-packed day, a long chilled-out evening of great entertainment stretches out in front of you. Watch the sun go down that with one of our perfectly mixed cocktails before heading out to enjoy vibrant shows, live music and our renowned beach parties. Whether you want to dance the night away at a club or enjoy the company in the laid-back bars, at Ikos Aria you’ll find so much to keep you entertained. 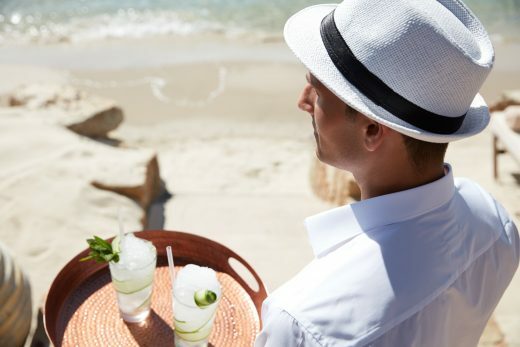 There's a bar to meet your tastes at Ikos Aria, whether you want to enjoy an al fresco cocktail at one of the laid-back pool bars, take in some live music in the lobby: or head to our sophisticated Cava to sip on a selection of local and international wines all carefully selected by our sommelier. And if you simply want to watch the stars from the tranquillity of your balcony, you can rest assured it's replenished daily at not extra charge. 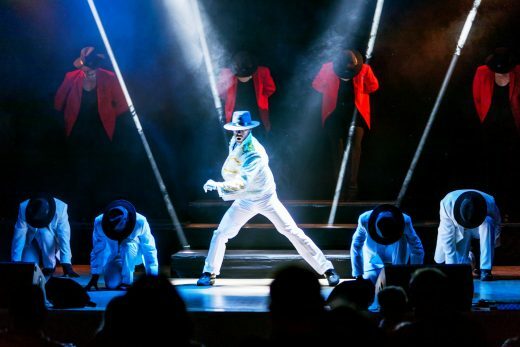 From live music and theatre to movies and exclusive parties, at Ikos Aria we know how to put on a good show. Entertainment is infinite at Ikos Aria with an outstanding choice every evening. There’s fabulous live music most nights covering everything from laid back jazz to traditional Greek. Musicals, children’s shows and movies complete the line-up.